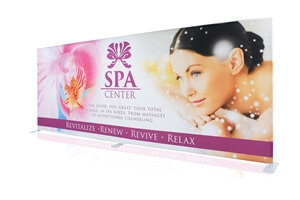 EZ Tube Display tension fabric backdrops feature a simply-assembled tube frame with a seamless, full-color, dye sublimation graphic. 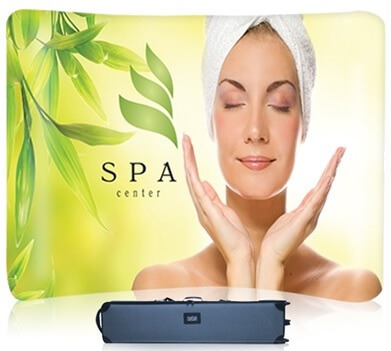 The large print is pulled over the frame like a pillowcase, zipped up and stretches to produce a smooth, continuous image. 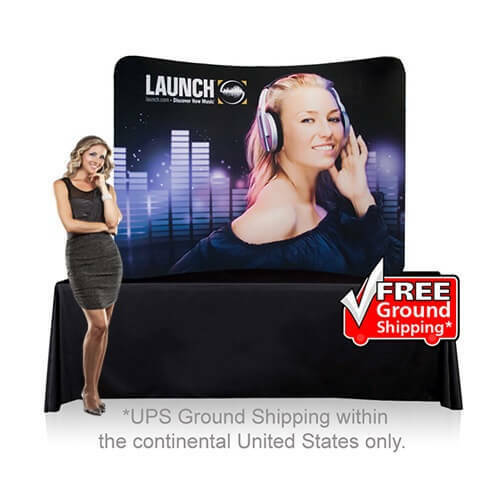 All EZ Tube Trade Show Display pricing includes the frame, graphic, pair of LED lights, and canvas-carrying bag. Unit is backed by a lifetime warranty on the hardware. No catch: Prices include hardware + print + LED lights + case. Available at 8ft, 10ft, 15ft & 20ft wide - straight, curved or serpentine (10ft & 20ft). There's also the 6ft & 8ft table top display systems. Easy on your budget. Easy to assemble. Easy to ship or carry at 35-lbs. Some call them Wavelines, or Tru-Fit displays, or Eurofit. 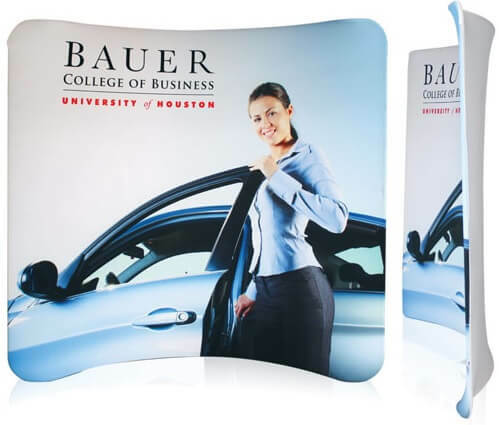 All operate the same way: This is the EZ Tube trade show backdrop display. *Ask about custom sizes - go taller! We'll make it happen.